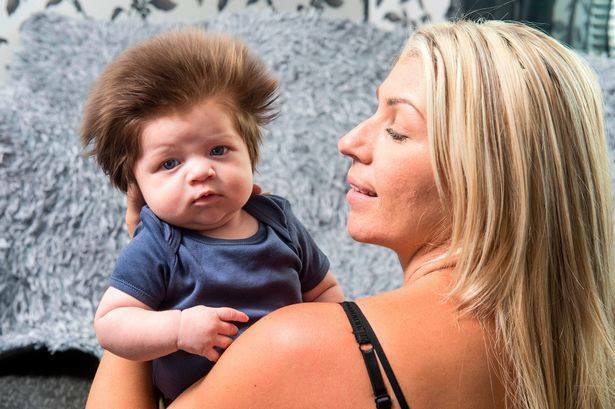 A baby in the UK is turning heads wherever he goes – because of his long, fluffy hair. Junior Cox-Noon was born July 30th at Brighton General Hospital and weighed 10 pounds. “When he was born it was quite thick but everybody said it would stop and that a lot of it would fall out. He hasn’t lost any – there’s none in the cot, none in his little chair or the pram, it’s literally just growing and it grows out not down so it sticks up,”. 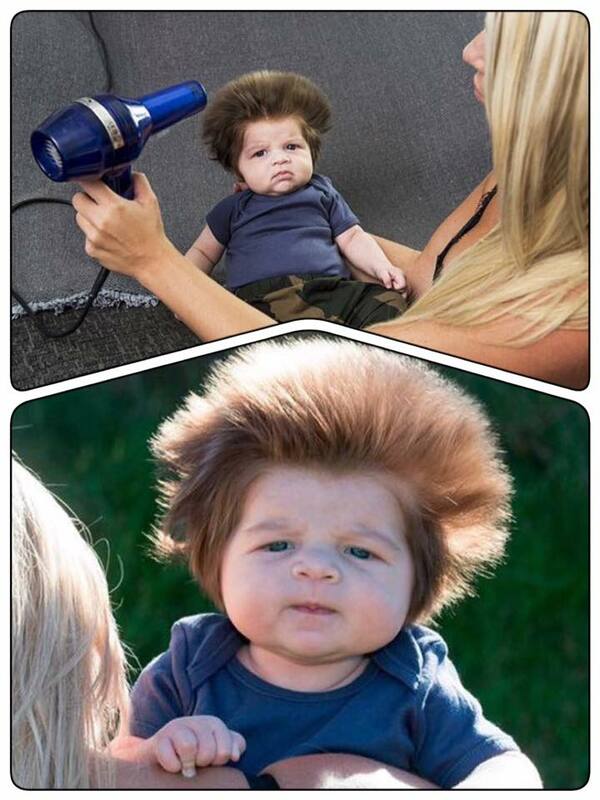 Many people want to know the secret behind Junior’s fluffy ‘do. 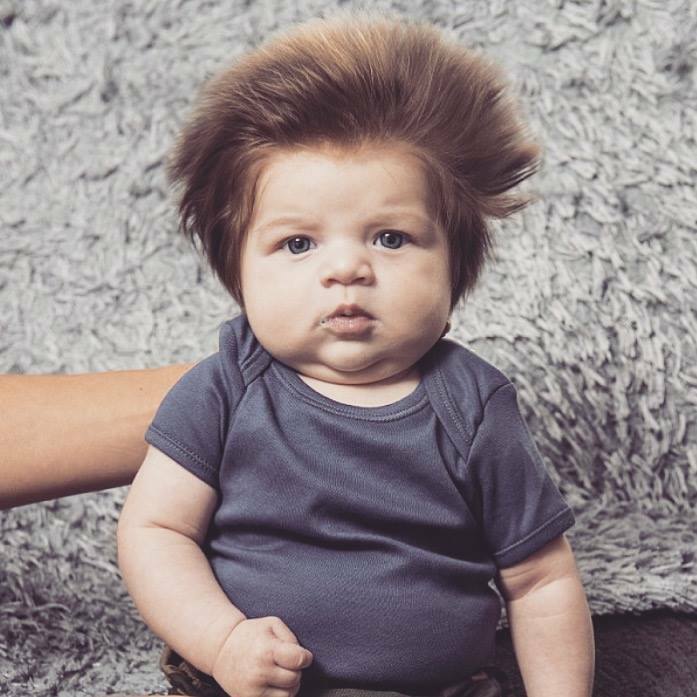 “Everyone stops and says: ‘Oh my god look at the baby’s hair,’ and then the next person will say: ‘He’s got so much hair’,” Chelsea explains. 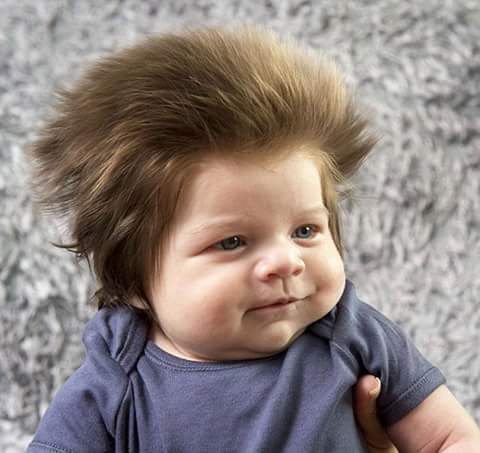 The mom says she has to blow-dry Junior’s hair, because it takes too long for it to dry naturally. She also says she has no intention of cutting his hair. “I definitely don’t want to cut it,I want to see how long it actually does grow out. 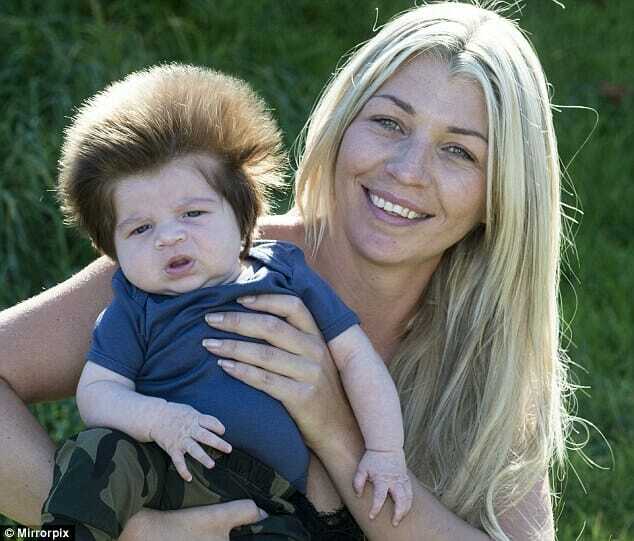 I don’t know where his hair has come from it’s like a big ball of candy floss,” Chelsea says. Chelsea’s two other children, 6 year old Mitchell and 4 year old Preston, were not born with the same mane of hair Junior has. 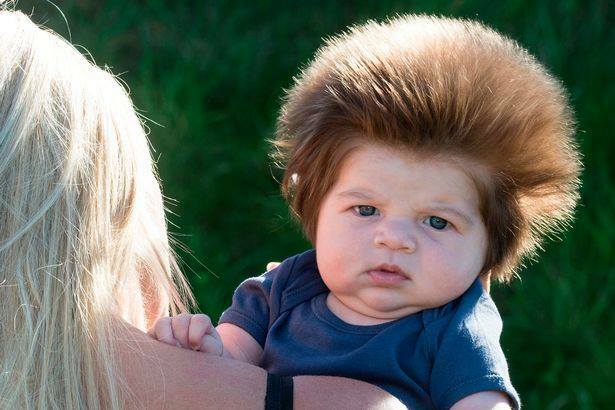 So how did Junior come into the world with such a mass of hair? Chelsea decided to find out, with the help of her doctor. Her doctor believes it’s to do with something that happened during Chelsea’s pregnancy. When Chelsea was pregnant with Junior she suffered with severe heartburn. In a study from 2007 by Johns Hopkins University, researcher’s found that the growth of a fetus’ hair during pregnancy can be linked to heartburn. This is believed to happen due to high levels of estrogen, which can both affect hair growth and cause heartburn. But extreme hair growth aside: Junior is a much loved little boy who is healthy and thriving. Chelsea is not planning to have any more children. Luckily Chelsea recovered and now has a healthy, happy little tyke to take care of!